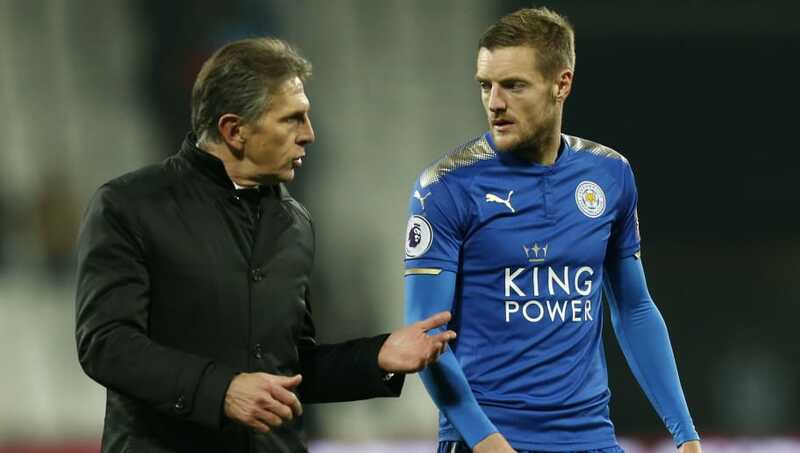 ​Leicester boss Claude Puel has moved to play down suggestions of a rift between him and Jamie Vardy after the striker was seemingly caught on camera swearing at his manager. Television cameras spotted Vardy swearing after the final whistle after Leicester’s 0-1 defeat to Manchester United last weekend, while some on social media suggested that the Foxes forward's ire was directed at Puel for talking to Paul Pogba. However, as quoted by the ​Daily Mail, Puel said of the situation: “I have a good relationship with Jamie. We know Jamie – after a loss he is angry, it’s normal for a player. Jamie Vardy is not happy, but it is not aimed at Claude Puel..
With 28 goals to his name against the Premier League’s top six teams in the last four-and-a-half seasons, Vardy has the best record of any striker in the division against the big sides – putting him above ​Tottenham’s ​Harry Kane and ​Manchester City star ​Sergio Aguero. Explaining Vardy’s strong record against the top teams, Puel added: “Perhaps because we have to put in place a deep block and we have more possibility to play counter attack. Vardy will have an opportunity to add to his impressive record against the ‘big six’ when Leicester travel to face Tottenham in a Premier League clash at Wembley on Sunday.